As the Harry Potter film series winds down, we're taking a look at the cast of the franchise. 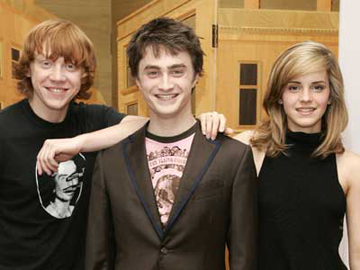 The Potter movies have made superstars of its three leads, Daniel Radcilffe, Rupert Grint and Emma Watson. But along the way, the movies have assembled a veritable who's who of British actors. You may know your Tom Felton from your Gary Oldman, but how well you know the cast of Harry Potter movies?